A very close call however the Oral-B Pro Genius 8000 just pips the Oral-B Pro Genius 9000 to the post. Although the Oral-B Pro Genius 9000 has more features than the 8000, the price differential means that the Oral-B Pro Genius 8000 is much better value for money and so wins the test. So which of these top of the range electric toothbrushes is the best purchase? The Oral-B Genius 8000 and Oral-B Genius 9000 represent the best Oral-B has to offer. They are packed with features however only one of them can win. Which one represents better value for money? Find out in the product test below. The Pro Timer is a neat feature on most of the Oral-B range. It is a helpful on-handle timer that “buzzes” every 30 seconds letting you know when to change to the next part of the mouth. The average person brushes their teeth for only 45 seconds which is 1 minute and 15 seconds less than the recommended 2 minutes. 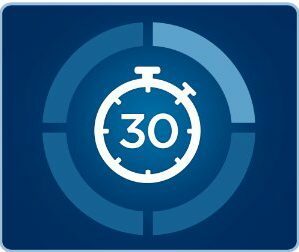 The pro timer is an effective way to stay on top of this to brush for the recommended time. Like most of the Oral-B range, the Oral-B Genius 8000 and Oral-B Genius 9000 come with visible pressure sensors. On other articles I have commented on how fundamental this is for an electric toothbrush as pressing too hard with a toothbrush can lead to tooth wear and gum recession. The cool thing about these electric toothbrushes is that the light can be personalized using the Oral-B app to a color that you want. This is particularly handy if you have multiple people using different Oral-B Pro 8000 or 9000 toothbrush handles. The people at Oral-B call this feature the 360 Degree Smart Ring and it is a pretty neat feature. This is where the Oral-B Genius 8000 and 9000 starts to get really clever. 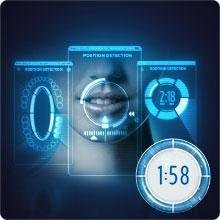 The position detection on these electric toothbrushes allow you to monitor which parts of you mouth you have brushed and how long you have brushed them for. This is incredibly useful as it is normal for people to have an area they like to brush. For right handed folks it is usually the left hand side of the mouth and for left handed people it is usually the right hand side of the mouth. The position detection acts as a great reminder to brush your less favored side of the mouth. 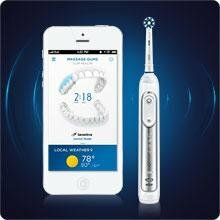 Downloading the Oral B App onto your smartphone opens up new realms of possibility for the Oral-B 9000 and 8000. Both these toothbrushes can “talk” to your smartphone and register a whole raft of information on there. 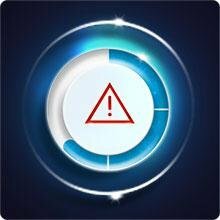 The Oral-B app alerts you if you are brushing too hard, sets up a system of rewards to make sure you brush 2 minutes twice a day and even records which days you have missed automatically. It is overall a great habit forming app and an advantage that Oral-B has over many of it’s competitors. There are no differences in features between the two Oral-B Genius 8000 and 9000. Therefore this round is a tie. Both the Oral-B Genius 8000 and 9000 use the 3D oscillating rotating action which produce 40,000 oscillations and 8,800 pulsations per minute. That is easily enough to clean your teeth to a high standard. 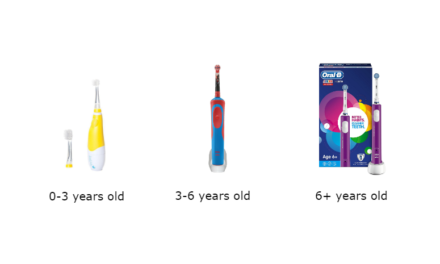 The Oral-B Genius 9000 does come with more toothbrush head refills, 4 compared to 3. The Oral-B Genius 9000 does come with a few extra bits that are better. It comes with an extra toothbrush head (Floss action) and it also has a tongue cleaning mode. It therefore has to be the winner of this section. Both Oral-B Genius 8000 and 9000 come with extra long life lithium ion batteries. This allows them to function for 40 minutes which is around 10 days of use (using it twice a day for two minutes). It also charges relatively quickly as well, taking between 5-6 hours to charge. Both electric toothbrushes come with a neat charging station which holds the electric toothbrush upright to stop it from getting grimy. The charging station also has space to hold three extra toothbrush heads which is useful is one electric toothbrush handle is being used by multiple people (each person having their own toothbrush head). The electric toothbrush handle for both Oral-B Genius 8000 and 9000 comes with a battery indicator light which shows roughly how much battery is left. 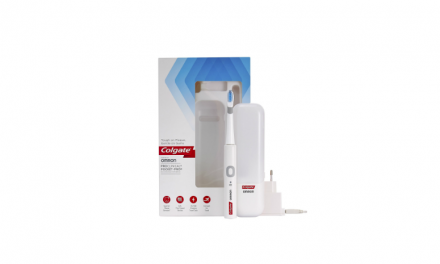 There is of course a charger included in the pack and as with all the Oral-B range you will need to get a standard 2 to 3 pin shaving adapter. A good one can be ordered off amazon pretty cheap. Both the Oral-B Genius 8000 and 9000 come with a beautiful premium travel case that holds two toothbrush heads and the electric toothbrush holder. The Oral-B Genius 9000 comes with a neat trick as it can charge both your smartphone and electric toothbrush together. This is something the Oral-B Genius 8000 cannot do. Both the electric toothbrushes weigh 140 grams and have reasonably small dimensions at 24cm x 2.7cm x 3.2cm. The Oral-B Genius 9000 comes out as the slight winner because of its neat trick that allows its premium travel case to charge the smartphone and electric toothbrush together. 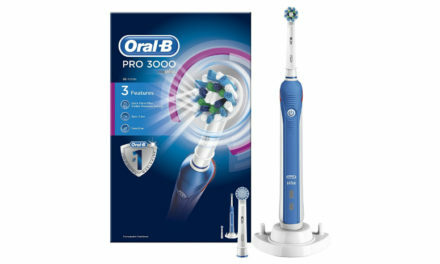 The Oral-B Genius 8000 currently costs £103.17 on Amazon.co.uk. 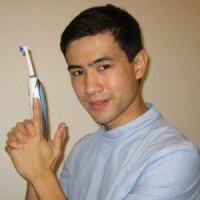 The Oral-B Genius 9000 currently costs £128.00 on Amazon.co.uk. As long as the Oral-B Genius 9000 is not on a deal, the Oral-B Genius 8000 is usually quite a bit cheaper than the 9000. The Oral-B Genius 8000 also has almost all the features of the 9000. At this moment in time the Oral-B Genius 8000 is £20 cheaper than the 9000. This is quite a bit extra to pay for an extra toothbrush head, tongue cleaning mode and premium case that charges both your smartphone and toothbrush holder. 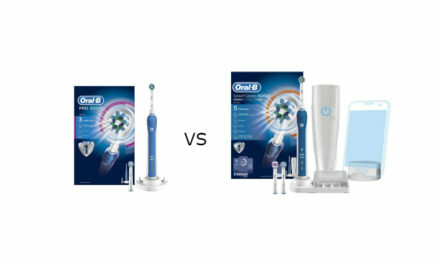 The Oral-B Genius 8000 represents much better value for money than the Oral-B Genius 9000 . For some people the extra features of the extra toothbrush head (flossaction), tongue cleaning mode and premium case will be worth it. For me though I would rather have the extra money in my pocket. So who wins? The Oral-B Genius 8000 is the winner because it represents really good value for money. It comes with almost all the features of the Oral-B Genius 9000 with a cheaper price tag. PreviousShould you go for an Oral-B Trizone or a Pro? Thank you for the compliment. I use extra theme from elegant themes. They are really good and provide excellent support. Also you do not need to know how to code which is a bonus! If you are looking for a good hosting solution, I would highly recommend siteground. The hosting support is second to none and they are very reasonable cost wise. Good luck blogging! I believe the genius 800 has undergone some upgrades (and a price bump) which would actually make the 9000 the better value at this time. I ordered the 9000 to ship to the US and even after the currency exchange and duties it’s still less than what I could buy the 8000 in the states. Hi Patricia. Thank you for the message. Yes prices do vary on Amazon daily. 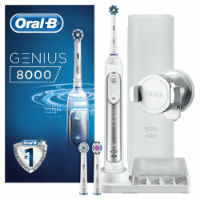 If you can get the Oral-B Genius 9000 for a cheaper price then I would definitely go for that as it has more features. The Oral-B Genius 9000 is actually the electric toothbrush I now use daily. I love it! Thank you very much, your article answers all my questions and it helped make my mind.